Despite a thorough search for white-nose syndrome in Britain. It has yet to be found. 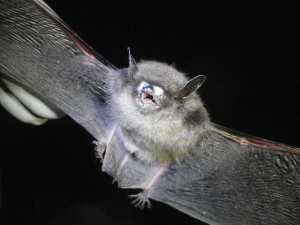 A group of volunteers monitoring Britain’s 17 species of bats this spring as they emerged from hibernation in caves, old railway tunnels and abandoned buildings have found no evidence of the disease. The concern is that a similar outbreak to what is happening in North America may occur in Britain. While geomyces destructans has been found all over European continent, it has yet to cause any major die offs, with only a few bats exhibiting symptoms of WNS.